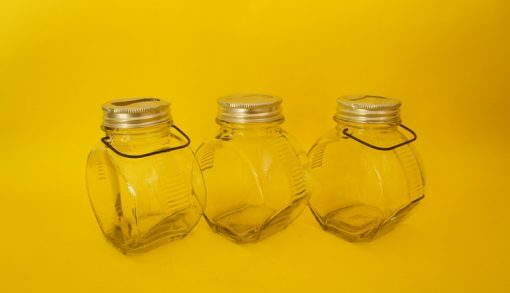 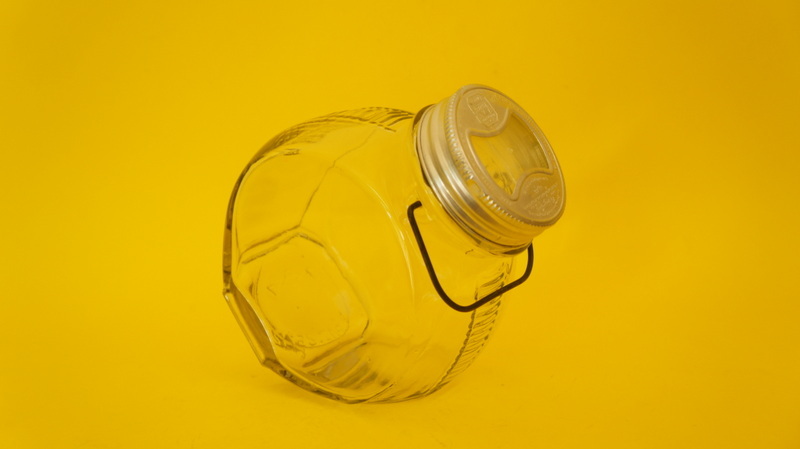 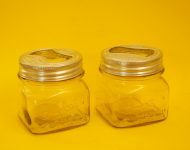 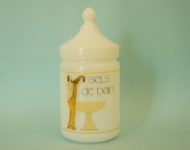 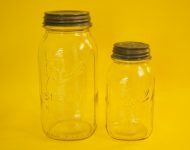 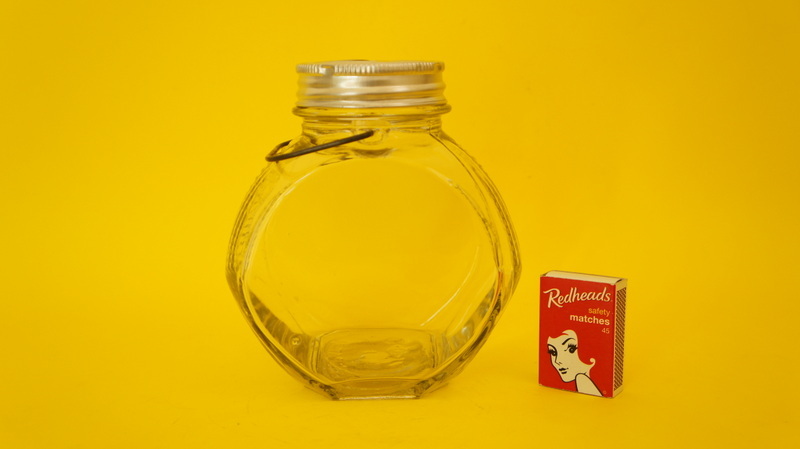 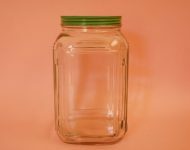 I love all varieties of kitchen jars, but of course it’s nice to find the slightly rarer jars from time to time – not that I’ll ever turn my nose up at a vintage Ball or Consol jar! 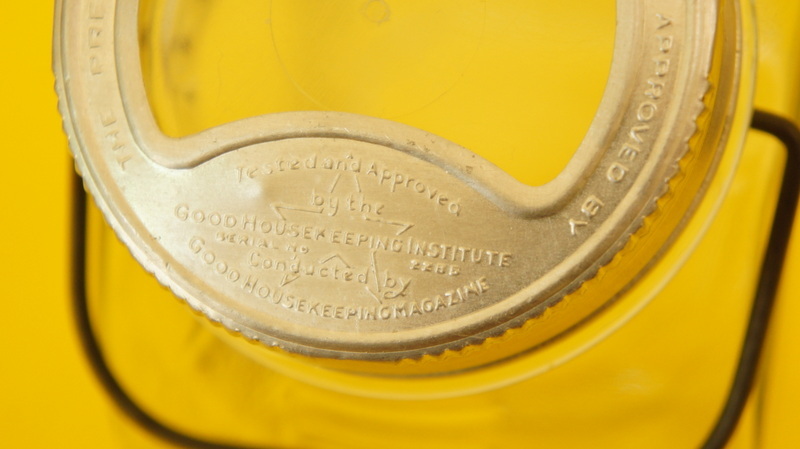 This trio of kitchen jars with their pressed lids are quite wonderful – I love the “Approved by the Good Housekeeping Institute” embossing! 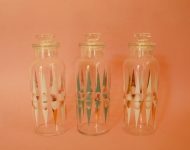 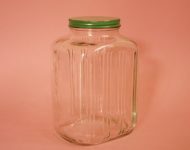 I also like the fact that the jars can sit either upright or on their sides – as they would have if they were filled with boiled sweets for sale in a shop. 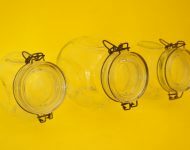 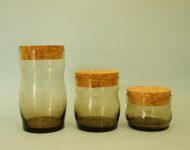 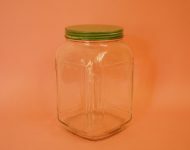 Two out of the three jars have handles – I’m not entirely sure why, but it’s a nice detail, and all of the jars have plastic lid linings – I’m not 100% certain, but I think these might have been glass at some point, although I could be wrong. 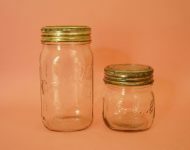 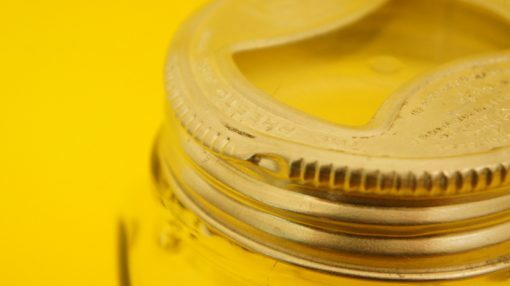 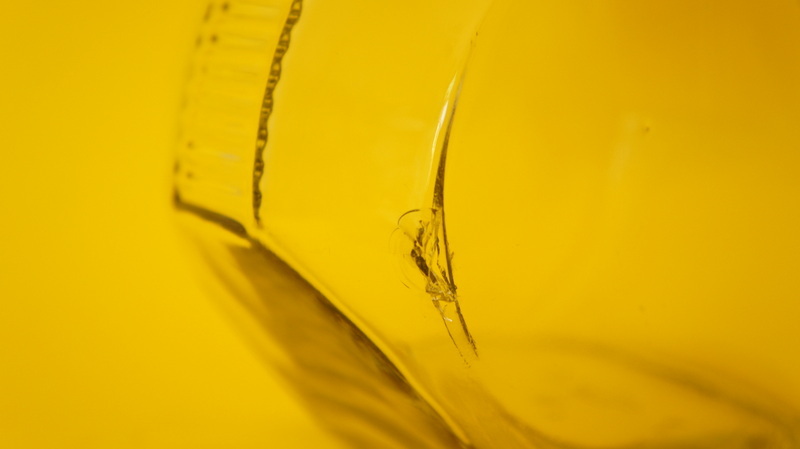 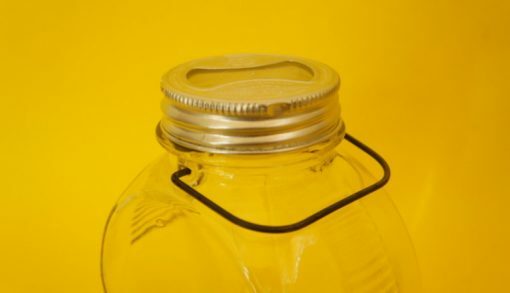 Sadly one of the jars has some damage – theres a hole in the side of the jar where the glass has chipped, and the lid is also a bit dented (these lids are quite soft). It would still be useable for something like cookies, but obviously wouldn’t work for flour or sugar. It seemed a shame to throw it out though when these jars are so hard to find, plus if you’re worried about your cookies going soggy you could always use it for storing crayons, or something else not food related – some brightly coloured pens and pencils would look great on display in this lovely vintage kitchen jar wouldn’t they? 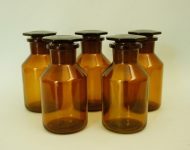 Kirsty, are these realy for free. 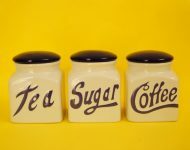 I will take them hehe.